At 2 pm in the Pressburger room the audience’s favorite from Rotterdam and the Sundance is screened. In Gustav Möller’s first feature film ‘Guilty’ Asger is finishing one of the many annoying duties at the police station when he gets a call from a kidnapped woman. Can he help her quickly and with strategic savvy? Less is sometimes more, and Gustav Möller’s feature debut is a wonderful example of this. As this carefully-paced thriller demonstrates, our experience of the story is fundamentally determined by our fancy. At 3 pm one of the films from the competition program ‘Laika’ runs in the Béke in 3D. On November 3, 1957 Laika became the first living creature to orbit the Earth. Her return home in the Sputnik 2 Soviet spacecraft was never part of the plan however, in this animated puppet musical Laika survives and passes through a black hole and finds her way to the planet Qem. There she gets her first taste of how things are when man isn’t the lord of creation. At 4 pm the Zukor room hosts ‘The Silent Revolution’. The true story of a class from East Germany standing up for the Hungarian revolution. In October, 1956 a couple of teenagers travel to West Berlin where they learn about the truth of the events in Budapest. Upon learning the false news that Puskás fall victim of the Soviet intervention they decide to pay tribute to the martyrs with a moment of silence. Soon the Minister of Education arrives to have a little chat with the young “counter-revolutionists”. It is a truly remarkable film focusing on the effects of the revolution of 1956 and on everything the “Eastern bloc” had to experience. At 5 pm in the Uránia we have the chance to watch the acclaimed ‘One Day’. Zsófia Szilágyi’s ‘One Day’ premiered in Cannes in the Semaine de la Critique program from where it returned with the prestigious FIPRESCI-prize. The film is based on a letter by a letter from one of the director’s friends. In this letter the mother of three children gives an account of one day in her life. The thesis to be proven was there: could a housewife be the classical protagonist of a feature film? The answer is an unequivocal yes. At the same time in the Béke room the Roma Picture program starts. It is organized for the 13rd time this year. Kristóf Horváth (Színész Bob), the founder of the ‘Knowledge is Power’ project is well-known for his preference of working with children in need. In 2018 he and a young director, Flóra Chilton made two music videos: ‘I write poems’ was shot in a temporary home for mothers with the contribution of children under 13, while ‘Reziliencia’ was shot in a temporary home for families with children under 17. The screening is followed by a Q&A session with Bob and Flóra. At 6 pm in the Béke we can watch another classic by Zanussi, the ‘Constant’ from 1980. The protagonist of the story, Witold needs to make a decision: should he continue his studies as a mathematician or start looking for a job? He doesn’t want to be part of the smaller and bigger tricks of the era and has some trouble finding the way out of the trap set by his parents’ example and the ethics of the time. At 6:15 in the Pressburger room the New Zealander film from the competition program takes us to a cold and remote landscape. Two strangers struggle to repair their broken pasts. A young man is on parole after serving time for attempting to murder the man who killed his girlfriend in a hit and run. A woman is released from a psychiatric facility far from her homeland. These two damaged strangers cross paths in the mountains in winter and fall into a complex intimate relationship, putting to the test their capacity to trust and heal. The screening is followed by Q&A. Az 6:30 the in the Zukor room the American ‘Searching’ plays. 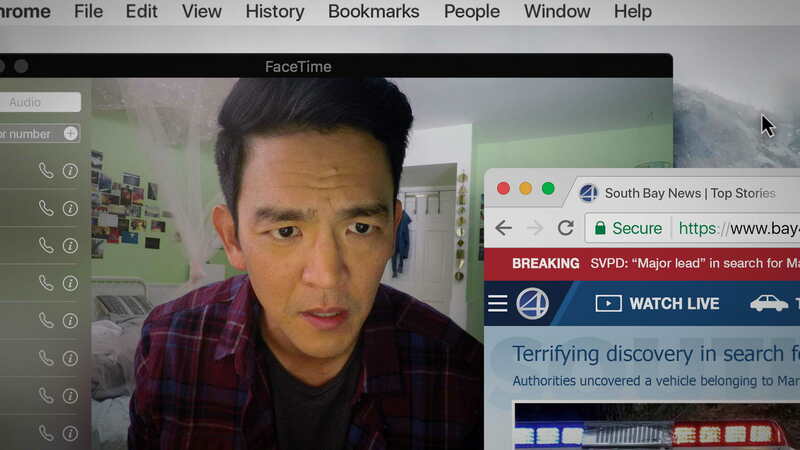 Told almost entirely from a computer screen, David Kim discovers that his daughter, Margot, is missing. As he searches through her web history and interviews people who were supposedly close with her, he begins to learn that his daughter was not as perfect as she seemed. At 7 pm in the Uránia we can watch ‘The Bar Mitzvah Boys’. The film is a coming-of-age story of two “boys”. They are both preparing for the greatest day of their lives: their Bar Mitzvah. For 13-year old Salom this is a natural event but for 83- year old Gyuri, it’s a dream of 70 years coming true. Through their preparation, the boy becomes the teacher who tries to restore the old man’s faith and trust. After the film the filmmakers are available for Q&A. At 8 pm the Béke room hosts the “Our home – Miskolc” program. Every year the Jameson CineFest offers a scholarship to one talented student of the University of Miskolc, Department of Cultural and Visual Anthropology to realize his/her film project. This year the grantee has been Fanni Potonyecz with her film “Here”. The same session includes another film by a student of the University of Miskolc. The Mexican Mario Menes’ etude is a hommage to Márai. At 9 pm, in the Pressburger room we have the chance to relax with ‘Heavy Trip’ in which absurdity and heavy metal do not know boundaries – literally. A young man is trying to overcome his fears by leading the most unknown heavy metal band in Finland, Impaled Rektum, to the hottest metal festival of Norway. The journey includes heavy metal, grave robbing, Viking heaven and an armed conflict between Finland and Norway. At 9 pm in the Uránia we can watch the fourth selection of the short feature competition program with Argentinean, French, Columbian, Russian, Bosnian and two Spanish films. At 10 pm in the Béke room the third selection of the short feature program screens with German, Finn, French, South Korean and Spanish shorts. The last film of the day starts at 11 pm in the Uránia. ‘Coalesce: A City Composed’ takes us to Phoenix, Arizona. A visual artist and a musician search for beauty and inspiration in the alleyways, intersections, power lines, and utility poles of a sprawling desert city. An intimate portrait of creation and collaboration as painter Megan Jonas and composer Jordan Ignacio create four new works.